le 17 octobre 2018 - Wisdom is the retention of innocence through adversity. I am happy to see that one of my communities has passed the 300-place mark. And so I am posting my top communities for you to check out. If you're not at the table, you are on the menu. Also, these five communities kinda give a general profile of who I am. If you join all five, you can also be me, and win a portable swing-set for your dog, cat, rat, in-law, or secret illegal immigrant. Researchers have found that the swell of infestations of winter ticks -- which attach themselves to moose during the fall and feed throughout the winter -- is the primary cause of an unprecedented 70 percent death rate of calves over a three-year period. Originally posted by shaved_ape in moviebuffs. Reposted by madman101 at 2018-10-17 19:15:00. 31 New-to-me movies watched and reviewed in October. (This entry: My own personal SHARK WEEK!). I'm glad to say this movie does not take itself seriously at any moment which is probably a good thing as in every single scene the acting, script, storyline and special effects all compete to be the shittist thing in the film and it's often a dead heat. There is nothing about this film that would not be improved if it was told with sock-puppet theatre instead. The strained pun in the title hints at a movie reference but fails to deliver even a tenuous link to Indiana Jones or almost any other movie. So terrible that it's good? Maybe. If I ever watch it a second time I will see if it stands up. I was really hoping for the Shark version of Planet of the Apes with this film but was disappointed to find a budget version of Waterworld but with swarms of deadly sharks and one big uber shark. On reflection Waterworld probably would have been improved with the addition of a bunch of sharks, or the removal of Kevin Costner, or both - especially if the sharks ate him. 'Better than Waterworld' (or at least less annoying) is hardly a ringing endorsement but as stupid shark movies go this one almost had production values. These pesky sharks get everywhere, even the polar regions now global warming is doing it's thing now. Also they can sometimes come up on land and chase you or leap through the air (why should dolphins have all the fun?) or sometimes even fly. That's what this week has taught me. As if they weren't scary enough. There is no pun in this title but it does a reasonable job of being both the title and the whole concept of the film. A former teacher of mine used to deploy a favoured put-down when the situation arose, "How can you be so stupid with only one head?" It turns out having more than one head can make you even more stupid - at least if you are a shark movie. This one had the good grace to have Danny Trejo in a small role, the only time in any of these four movies that I saw an actor I recognised - and actually liked. For the rest of the movie is again pretty much summed up in the title. Originally posted by sirterrywatts. Reposted by madman101 at 2018-10-17 19:17:00. Seen flying beneath the surface of the water are the majestic eagle rays. These rays are different from others in the sea. Commonly called a stingray incorrectly, these don't have a sting on the end of there tail. 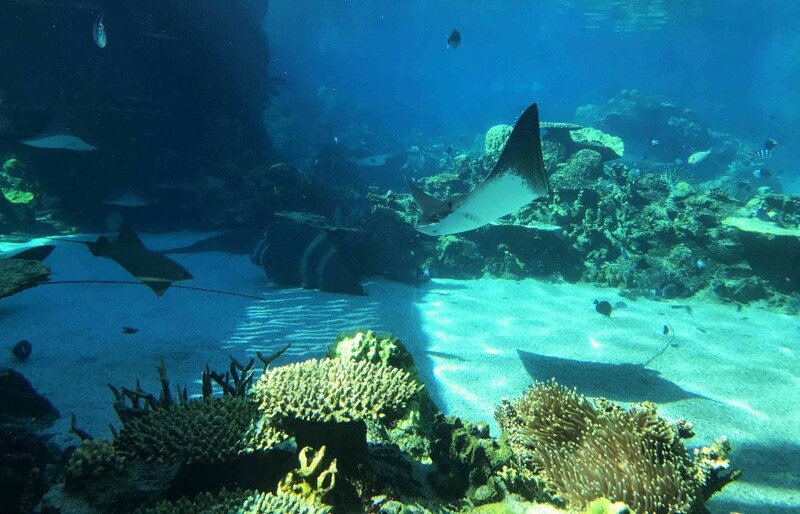 The ray itself is not that large, but the long and elegant tail can be up to 6ft long. Though scientist are still studying the benefits of having such a long tail. Today I was lucky to see such a creature gliding effortlessly around a reef. With the calm seas providing excellent viewing conditions revealing the landscape of the reef. Originally posted by cuddyclothes in vintage_ads. Reposted by madman101 at 2018-10-17 22:31:00. 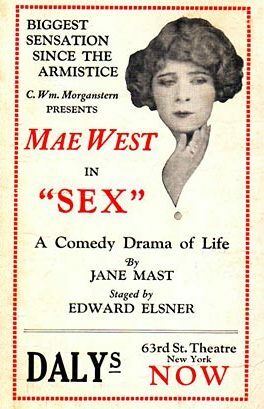 "Jane Mast" was the not very clever pen name by Mae West. 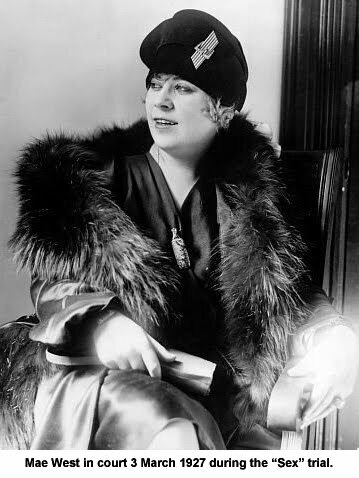 The play was raided, the performers hauled in, and Mae got invaluable publicity.